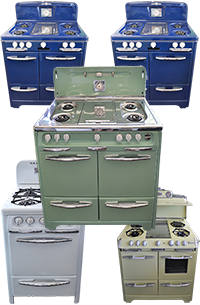 Because of the high demand and one-of-a-kind quality of our inventory, it sells quickly, so be sure to call us for our latest inventory. 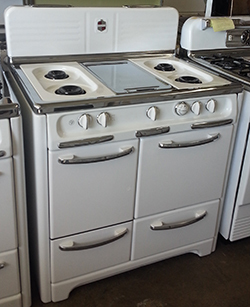 We can email photos to you if we have something you are interested in! We can help you with shipping almost anywhere. 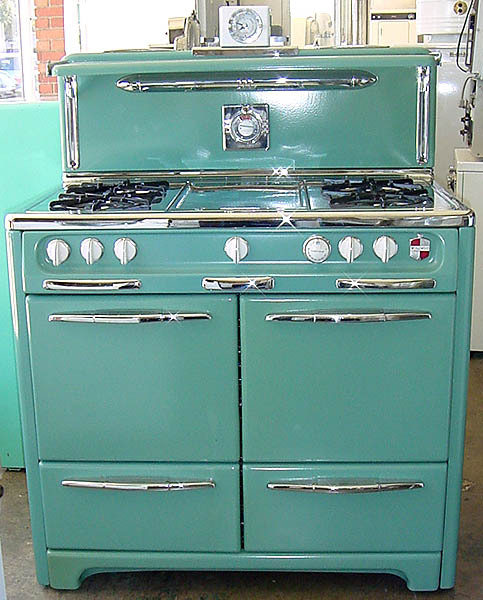 1950's Wedgewood stove measures 39" wide, with a custom 50's mint green color porceline. 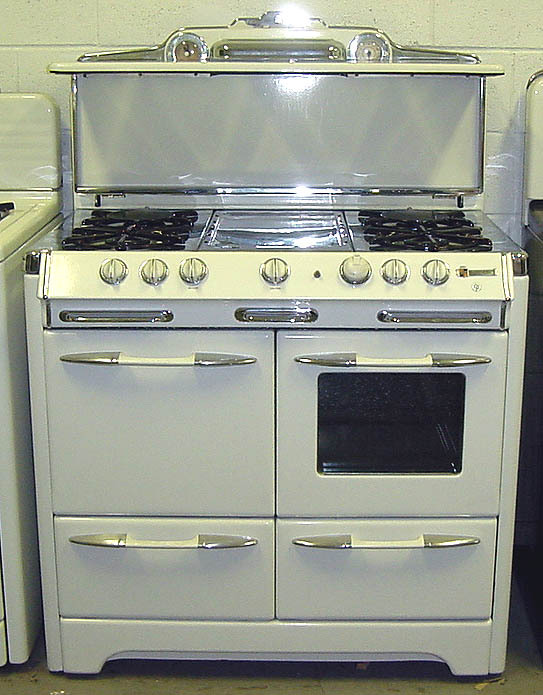 It features a single oven and broiler combination. 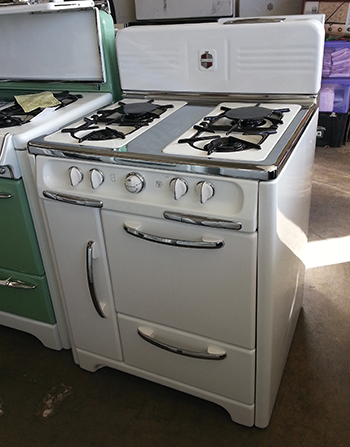 341/2" O'Keefe & Merritt single oven and broiler with storage on the side (C. 1950), 4 burners and a griddle. 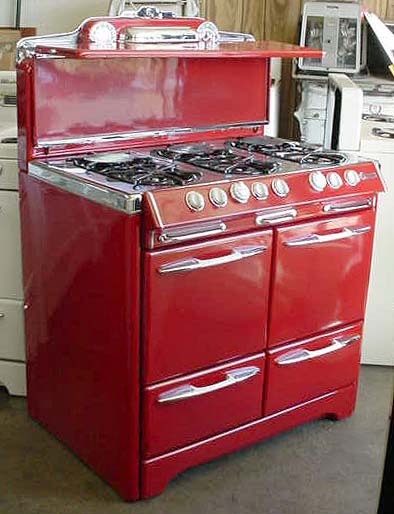 STUNNING 1940's stove that features a single oven and broiler. 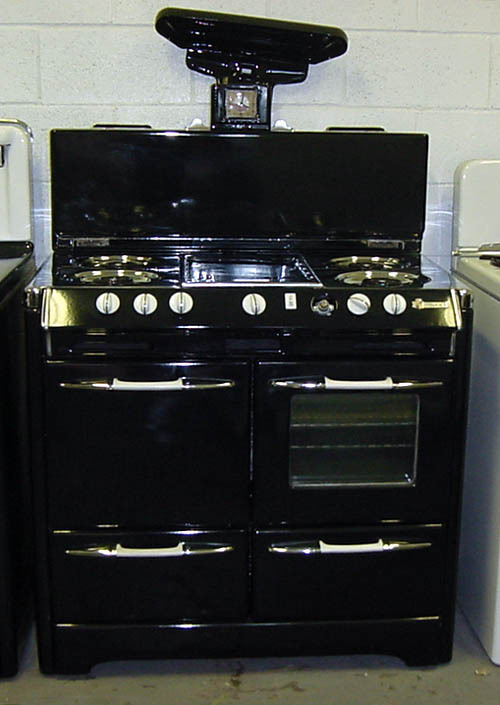 1950's with a custom black color porceline finish. 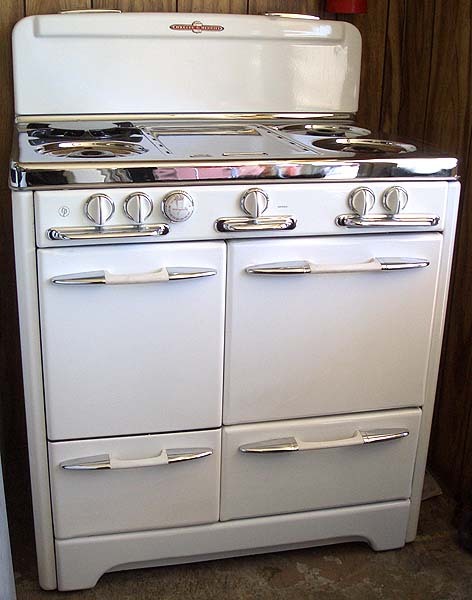 It features a "periscope" mirror. 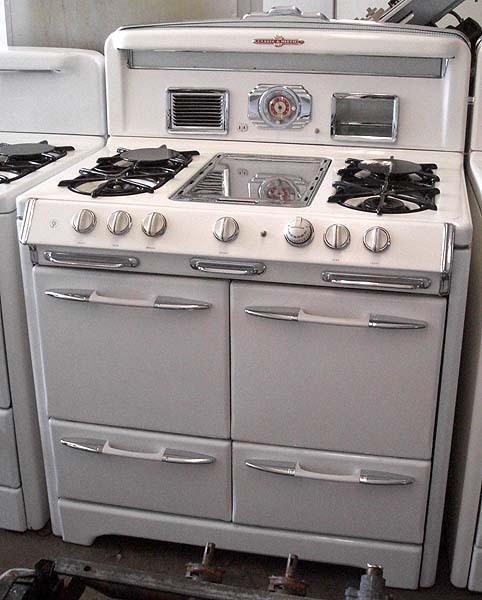 1940's O'Keefe & Merritt features 4 burners, grill, single oven & storage area. 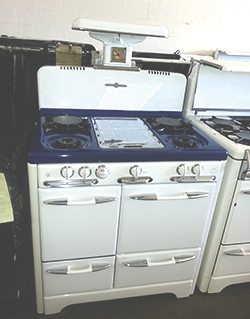 These Double Oven model O'Keefe & Merritt stoves measure 39" wide each. 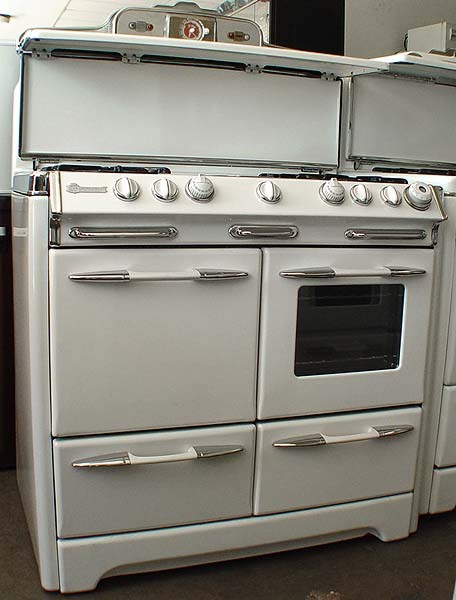 They are similar models, the major differences being the glass on the oven doors and the "towel rack" top stands on the model on the left. 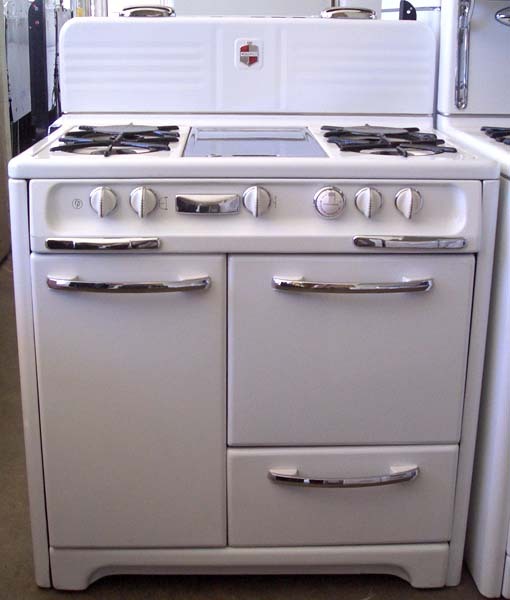 This RARE 1940's O'Keefe & Merritt measures 39" wide. 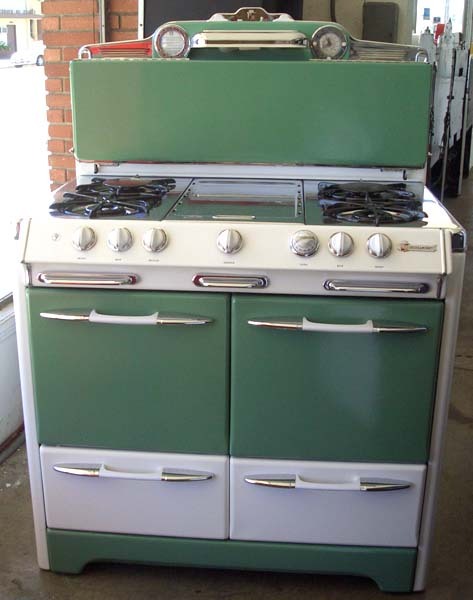 It features a RARE PERISCOPE WINDOW, burners, grill, single oven, broiler & storage areas. 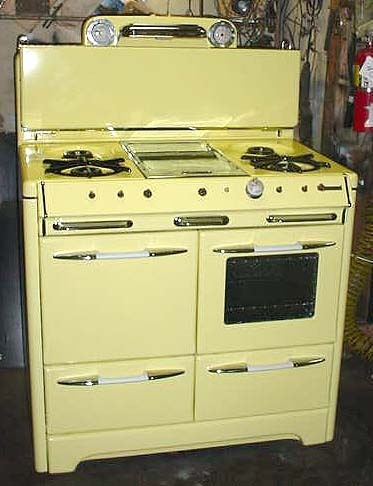 This Late 1940's O'Keefe & Merritt Stove measures 40" wide. 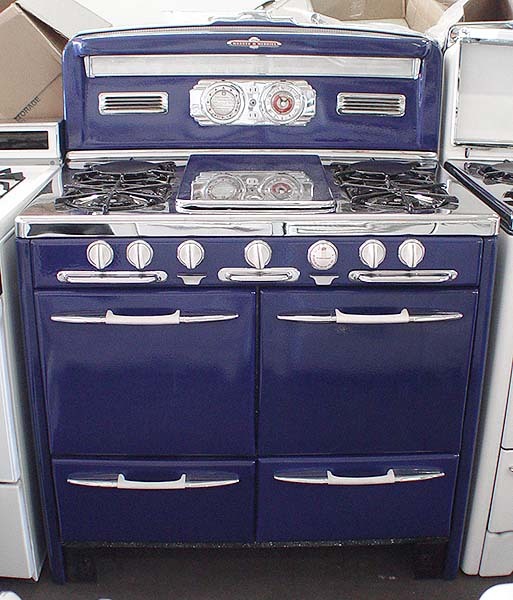 It features a clock, four stovetop burners, a polished griddle, one oven with a glass door, one broiler and a storage area. 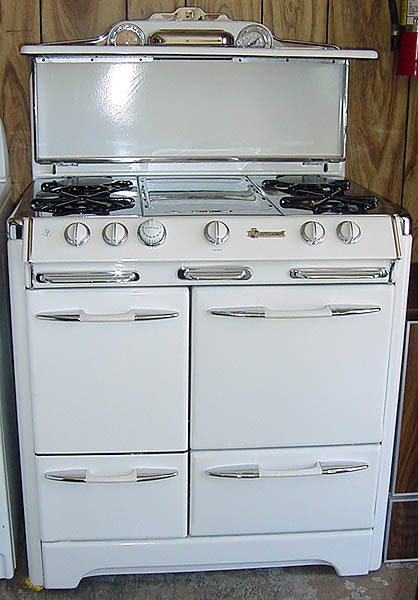 This Early 1950's O'Keefe & Merritt Stove measures 40" wide. 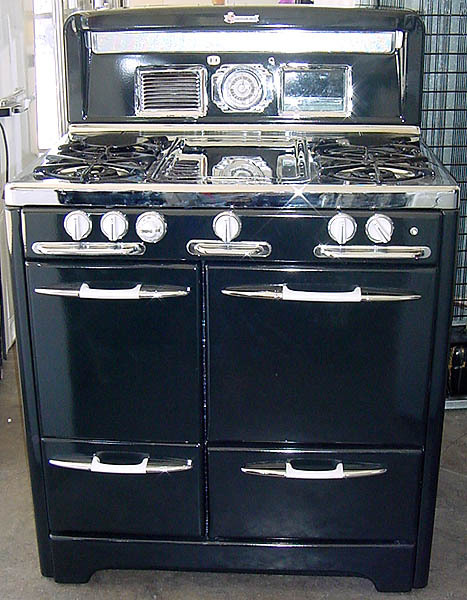 It features a special custom black paint job (spotlighting the chrome throughout), and a fold-down top and a clock. 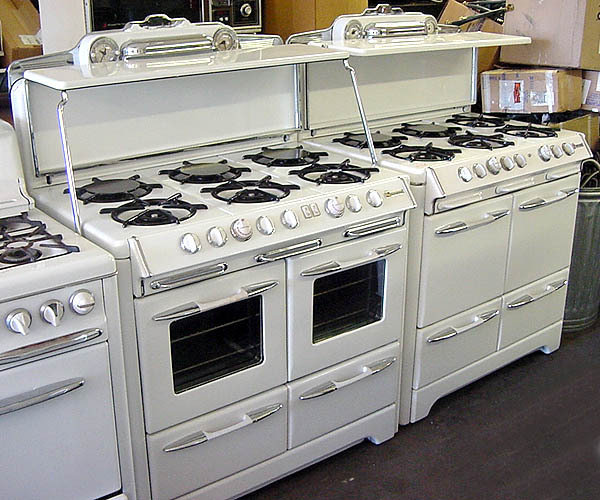 It also has four stovetop burners, a polished griddle, one oven with a glass door, one broiler and a storage area. 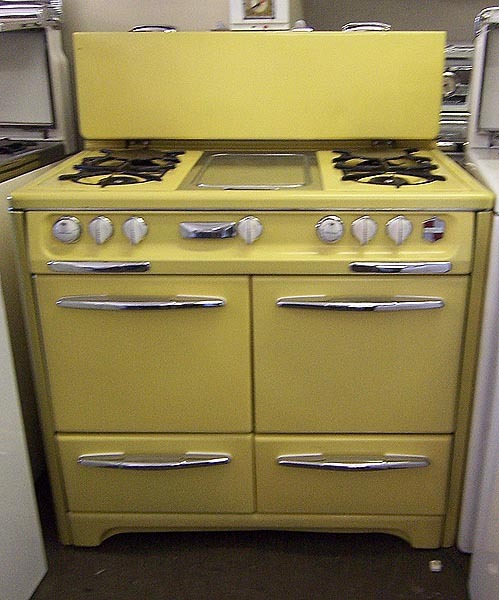 It has an overhead light that will be attached and wired. 1940's O'Keefe & Merritt measures 36" wide. 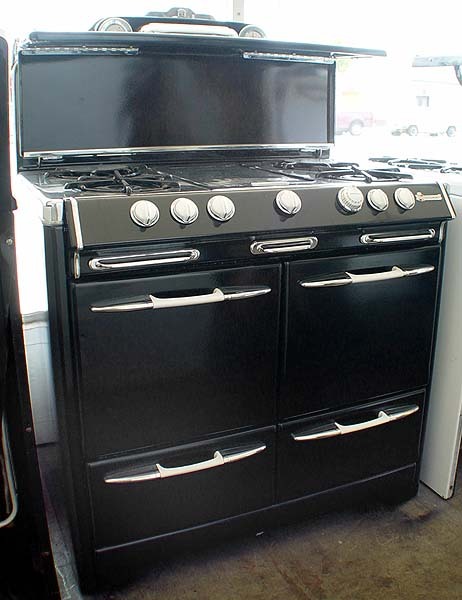 It features 4 burners, grill, single oven & storage areas. 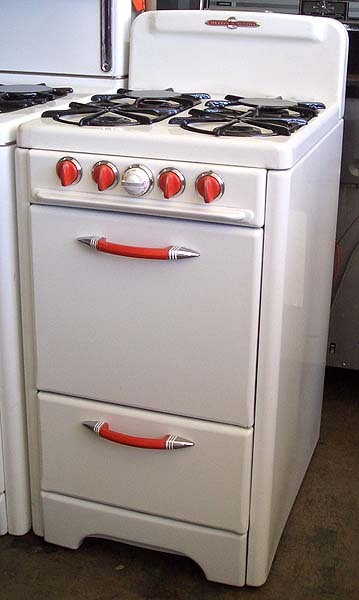 1940's O'Keefe & Merritt stove measures 36" wide.